Read every word. Take it to heart. 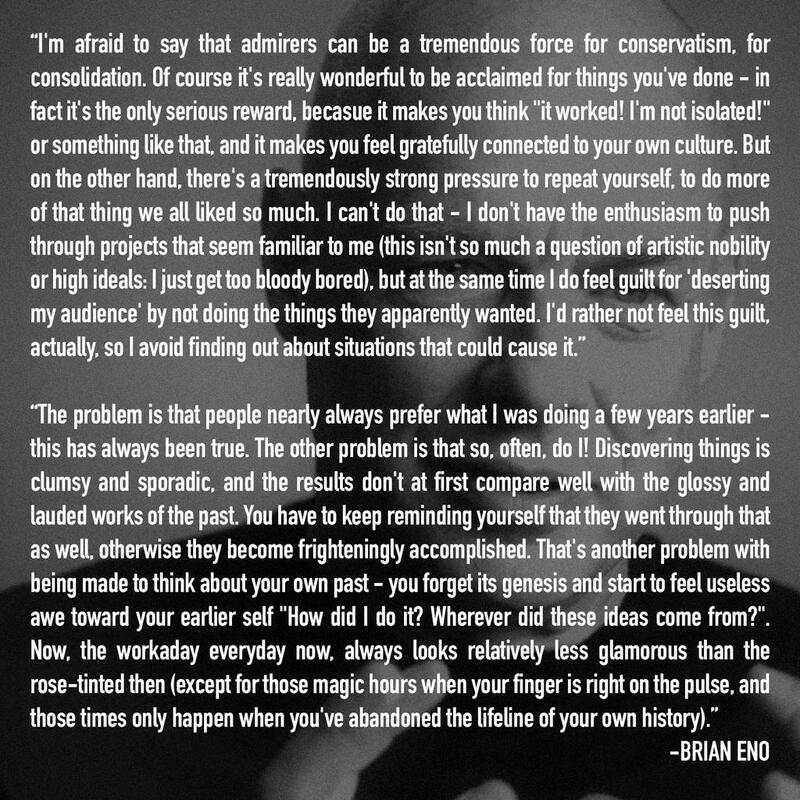 Brian Eno knows what he’s talking about. This entry was posted in Quotes and tagged Brian Eno, motivational. Bookmark the permalink.